The first thing that you should be aware of is that breast reconstruction results vary widely, and although the procedure does attempt to restore the breast to the normal shape, size and appearance, this may not happen exactly how you want it to. Also, you should be aware that your breast will not feel the same as the original one and there will always be incision lines from the surgery visible, whether they are from the cosmetic surgery, or from the original mastectomy. Also, there may be lines and scars visible on the site where the tissue is being taken from the reconstruct the breast. Also, your doctor may recommend surgery on the breast that wasn’t removed to augment it or make it match the reconstructed breast later. Of course, this is totally optional. 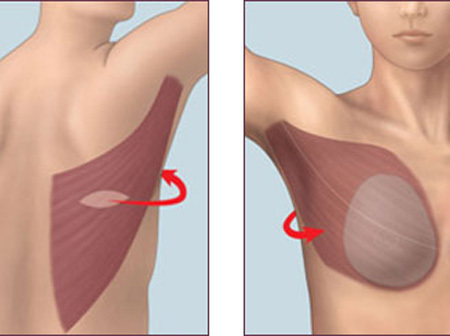 With any surgery comes risk, and this is the case whether you are having a mastectomy done, or reconstructive surgery. You and your doctor should discuss the risks and benefits of the surgery and come to a decision together. Your plastic surgeon will explain all of the options to you, the risks that are associated with the surgery as well as any complications or side effects from the procedure. Some of the risks, most minor, include bleeding, infection, slow or poor healing and risks from the anesthesia. There is also the risk of capsular contracture and implant rupture with implants and you may need to undergo follow up procedures. There are many factors that affect the cost of breast reconstruction surgery. One of them is the geographic location of the surgeon’s office. Also, surgeons that are highly skilled or who have a lot of experience doing breast reconstruction may charge more than others. There are also some associated costs with the surgery. The costs are generally, the fees for the hospital or facility where the surgery will be performed, the surgeon’s fee, the fee for the anesthesia and prescription cost for any medication, as well as x-rays and other tests. Many surgeons do offer payment plans so be sure to ask about that, and check to see if your insurance will cover some of all of the surgery.